The Lowdown: The ensemble doesn’t gel because we haven’t come to know any of the new characters, leaving the established stars underutilized. And the villain is the CG-equivalent of a cardboard cutout. Who really cares if DC Extended Universe is trying to “copy” Marvel Cinematic Universe, as long as the movies are good? The trouble is, with the sole exception of Batman v Superman: Dawn of Justice (the extended, three-hour cut specifically), quality control has been the precise source of DC’s on-going struggle. After the huffing and puffing of Man of Steel, a film that mixed a few neat elements (director Zack Snyder’s vision of Krypton, for one) with more than a few dogs (Michael Shannon’s overwrought Zod did nothing to stamp out Terence Stamp), Dawn of Justice at least established a distinct flavor that set it apart from its rival comic book franchise. Then came Suicide Squad (which squandered the Joker in favor of a laughable portrayal of Enchantress) and the overpraised, phony-feminist, Captain America: The First Avenger-redux Wonder Woman. 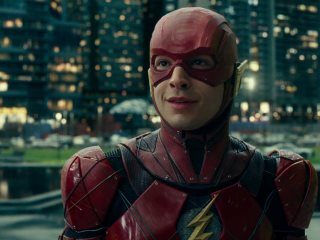 So Justice League arrives on the heels of DCEU’s one-for-four record with expectations high that it will right the course. It doesn’t. The inescapable truth is that DC has not taken the time to lay the groundwork for such a team-up of their greatest heroes. When The Avengers became a certifiable phenomenon it was due in large part to Marvel’s patience in providing a full feature for each of the primary characters (with many minor characters—Nick Fury, Black Widow, among others—having been established as well). It was a rush seeing these characters, played (with one exception) by the actors we’d already seen do the job, facing off against each other and eventually working together. 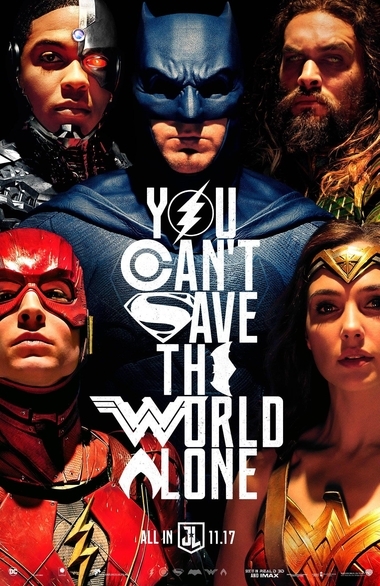 In Justice League, we have absolutely no connection to Aquaman (Jason Momoa), The Flash (Exra Miller), or Cyborg (Ray Fisher). Reportedly DC has standalone movies planned for each (Aquaman has wrapped and is due next year), but those should’ve come before the big team-up if they expected us to be emotionally vested. 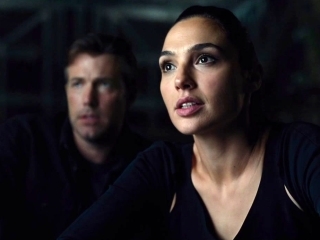 Plus returning Gal Gadot, Ben Affleck, and Henry Cavill don’t even really feel like stars in this vast menagerie. Director Zack Snyder does what he can to juggle the multitude of interlocking threads, but for an hour (at least) it feels like we’re watching five different movies badly edited together, with massive chunks missing from each. The main thrust of the “plot” could not be any more generic and less interesting if it tried. The ancient Steppenwolf (wholly unconvincing CG creation voiced with faux gravitas by Ciarán Hinds) returns to Earth (from… somewhere) via some sort of Bifrost-style portal to collect some Infinity Stone-type artifacts (known here as Mother Boxes) in order to bring about a Ragnorok-style destruction of the planet. It’s up to the newly-formed Justice League to stop him. That’s it. Nothing else to say. No twists, no surprises. There’s probably no single reason why Justice League fails on all levels. Who knows whether or not Oscar-winning (Argo) Chris Terrio’s screenplay looked better on paper? Maybe it was director Snyder, maybe the editing team of David Brenner, Richard Pearson, Martin Walsh, maybe the various producers. But the state of the DCEU is not well. Only the least demanding viewers will come out of this film feeling satisfied. Scattered throughout the film’s two hours are a few moments (most of which don’t involve obvious CG imagery, quick cutting, or pulse-pounding score) that provide glimmers of hope. Amy Adams (otherwise wasted as Lois Lane) shares a fleeting bit of romance with newly resurrected Clark Kent/Kal-El. 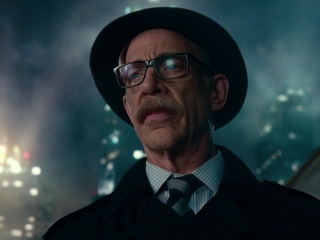 JK Simmons introduces an agreeably dry Commissioner Gordon. Jeremy Irons returns with another witty, winning take as Bruce Wayne’s butler/surrogate father Alfred. But bombast rules, which is somewhat understandable and expected given the reportedly $300 million budget. They should’ve used less money, therefore less effects, therefore more character-based moments. That might’ve resulted in some real justice (for the audience).